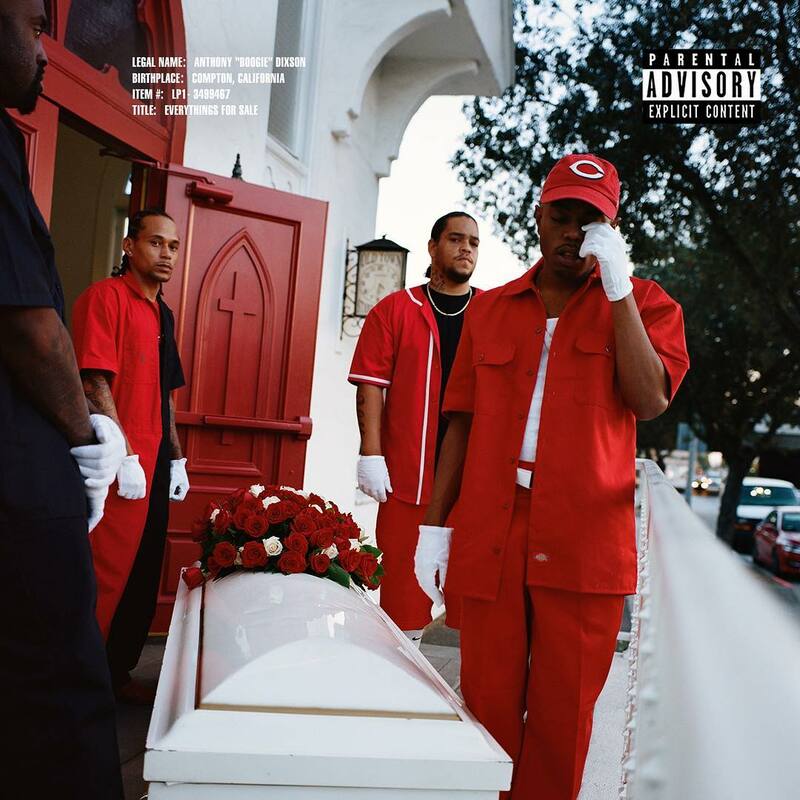 Boogie Drops Shady Records Debut "Everything's For Sale"
Boogie’s debut album is now available for streaming and purchase. The Cali-bred MC has officially released Everything’s For Sale, his first LP for Eminem’s Shady Records. The new album is comprised of 13 songs with production from S1, STREETRUNNER and more. Guests appearing on the LP include J.I.D, 6LACK, Snoh Aalegra, Christian Scott and Boogie’s boss, Eminem. Check out Boogie’s Everything’s For Sale stream, cover art and tracklist below. Boogie is scheduled to release his debut album, Everything’s For Sale, on Friday (January 25). To continue the rollout, the West Coast rhymer has unveiled the LP’s tracklist, which includes a collaboration with Eminem. 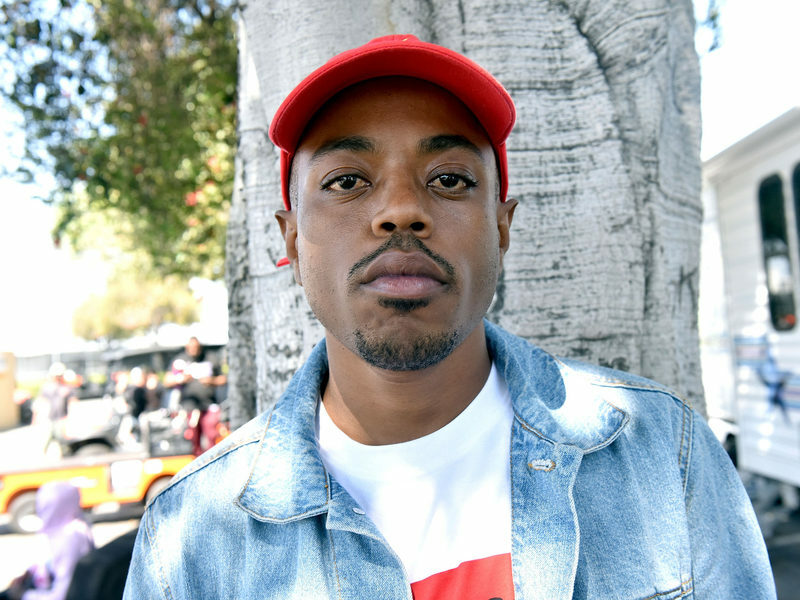 The Shady Records artist’s first studio album will feature 13 tracks. J.I.D, 6LACK, Snoh Aalegra and Christian Scott join Slim Shady as guests on the project. Check out Boogie’s Everything’s For Sale cover art and tracklist below. Boogie’s debut album Everything’s For Sale is a miracle maker — at least according to his new commercial. The Shady Records artist has released a humorous ad for his upcoming LP, promising the project is “gonna change somebody’s life.” The infomercial claims Boogie’s album can help win an ex back, solve baby mama problems, fix car troubles and much more. Check out Boogie’s miracle album commercial below. Everything’s For Sale is scheduled to drop this Friday (January 25). Boogie’s Shady Records debut is ready for launch. The West Coast rhymer has announced Everything’s For Sale, his first album for Eminem’s label, is scheduled to drop on January 25. Boogie signed with Shady in 2017. His deal capped off a busy year of business moves for Eminem, who also signed Griselda Records’ Westside Gunn and Conway The Machine in 2017. Everything’s For Sale will not only be Boogie’s debut album but also his first project since 2016’s Thirst 48 Part II mixtape. Although he’s been relatively quiet while working on the LP, Boogie hasn’t been out of the limelight thanks to his Snickers gig. The skilled MC has been a regular on TV, co-starring with Elton John in one of the candy brand’s “You’re not yourself when you’re hungry” ads. Check out Boogie’s ad work below.